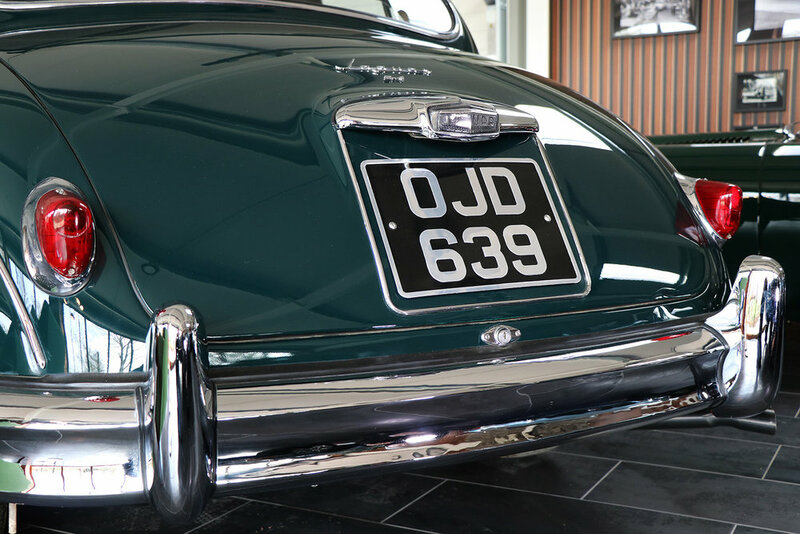 A unique 'fast road use' 1959 Jaguar Mk I saloon, built as a 3.4 litre vehicle, but later fitted with a more powerful 3.8 litre engine. 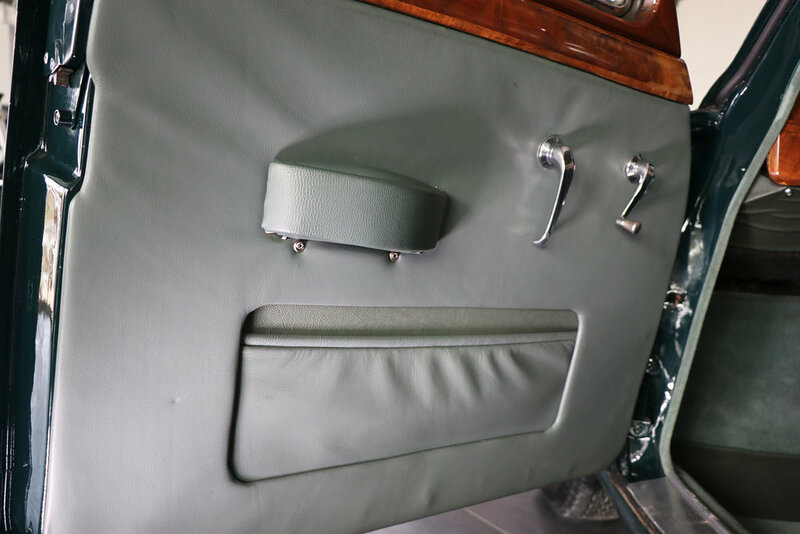 Resprayed in British Racing Green at around 9 months from new; (the vehicle was originally finished in Cornish Grey;) the Mk I retains its original condition dark green leather suede interior. 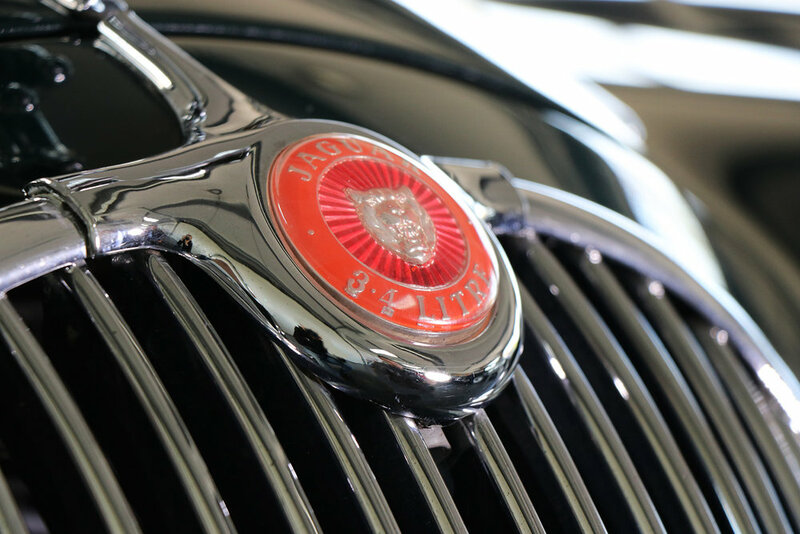 The vehicle was supplied from new via RP Powell Motors Ltd. of London, to Frank Leurs and Co. London EC4. Later it came into the possession of Lady Cheatham's brother, Humphrey, using the car at weekends when on leave from the army. 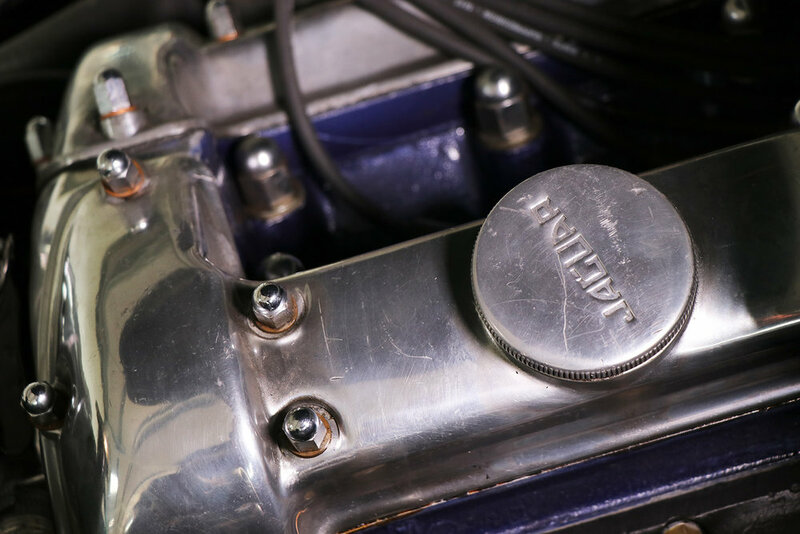 After his sudden death, the Mk I was retained by Lady Cheatham whose neighbour, racing car driver Duncan Hamilton, exercised it from time to time in mild Hill Climb or Sprint competition. 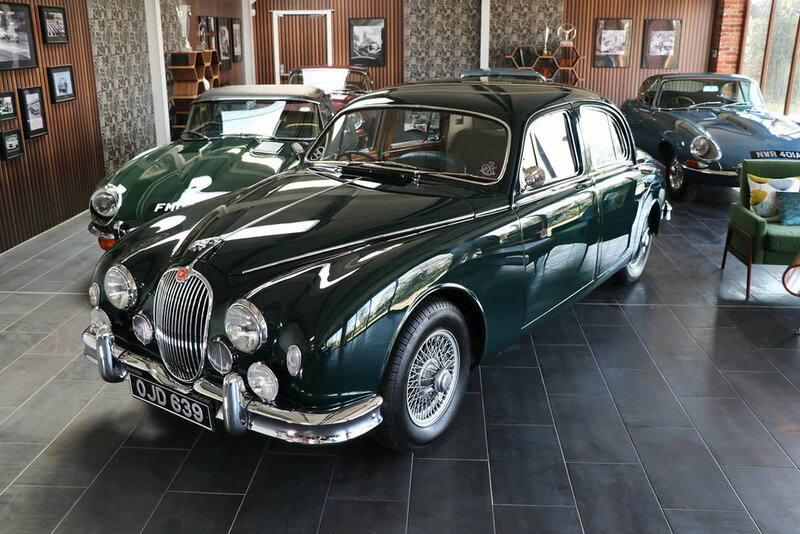 Taken off the road in 1983 and eventually passing into the ownership of Michael Wilkinson; the saloon has undergone a full Sayer restoration, including a bare metal respray in its iconic British Racing Green. 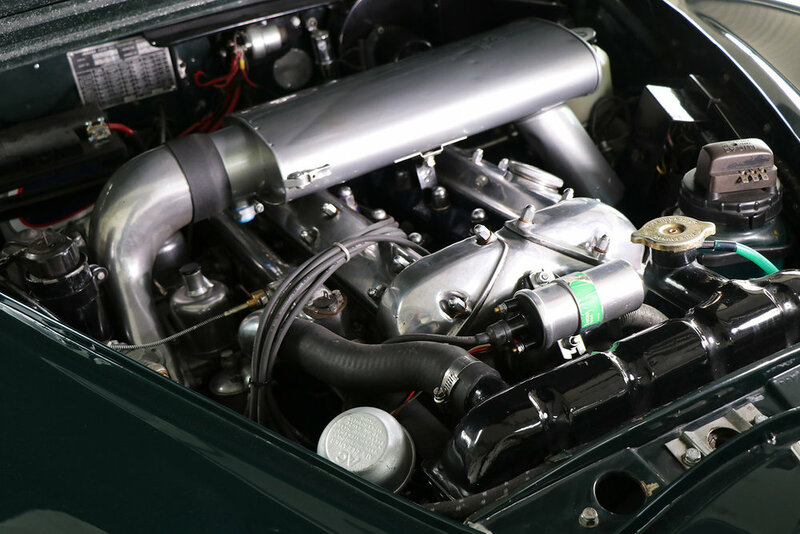 The 3.8 litre engine has been fully rebuilt and the vehicle fitted with an all synchromesh gearbox with overdrive, a gripper differential, upgraded brakes with 4 pot calipers at the front, a power steering conversion and an uprated cooling system. 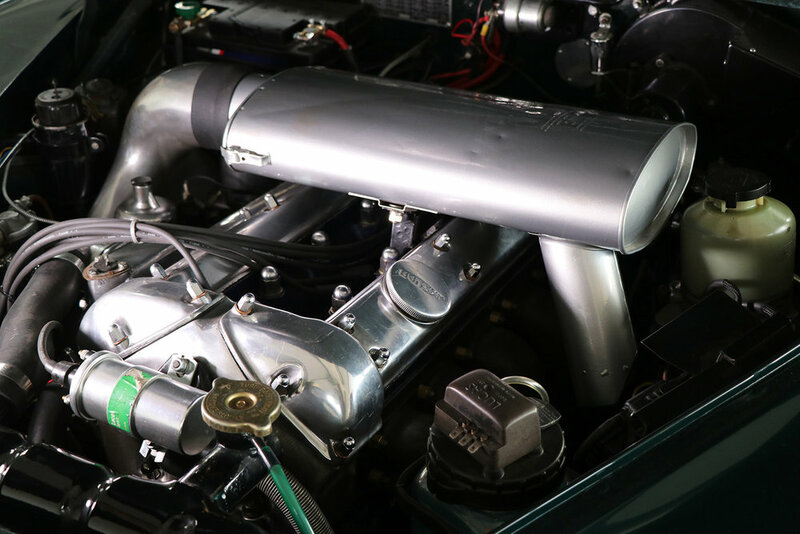 Rebuilt for 'fast road use,' the Mk I has only covered 600 miles from restoration and comes with its Heritage Certificate and original handbook. 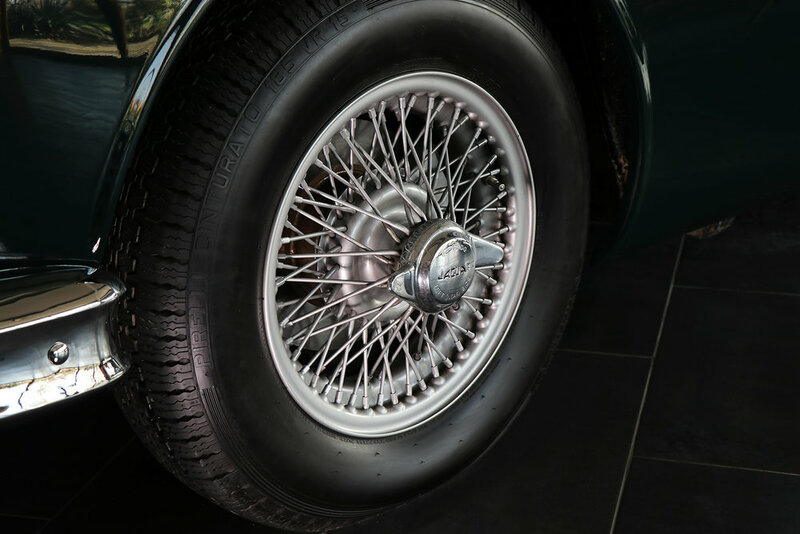 A unique opportunity to own a beautifully restored Jaguar MkI, sympathetically upgraded to be driveable on today's roads.